Chipotle shares have slumped more than 12% on November 20 after the Center for Disease and Control (CDC) reported more cases of E. coli linked to the Mexican restaurant chain. According to the CDC, 45 people had been infected with a strain of E. coli, 43 of whom reported eating at a Chipotle restaurant. The cases were in California, Minnesota, New York and Ohio. 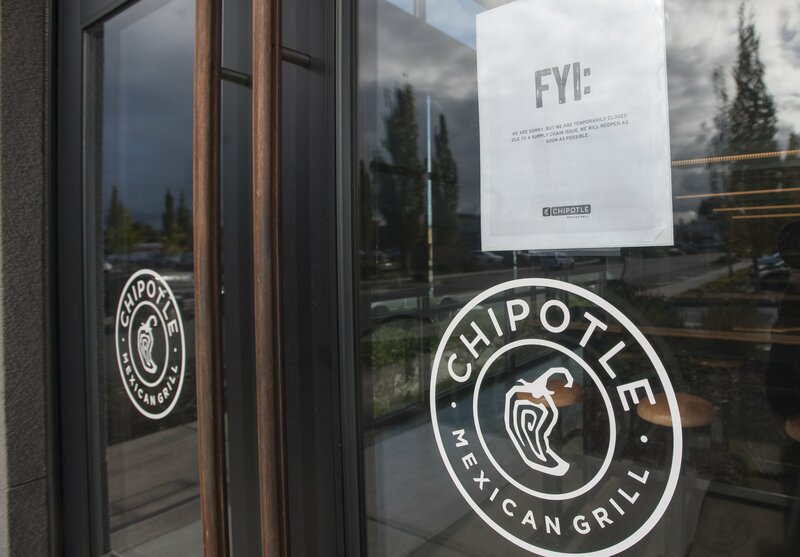 Earlier this month, Chipotle temporarily closed 43 outlets in and around Washington and Oregon states. This was after health officials investigated an E. coli outbreak that made at least 22 people ill.
“The epidemiologic evidence available at this time suggests that a common meal item or ingredient served at Chipotle Mexican Grill restaurants in several states is a likely source of this outbreak,” the CDC said. Chipotle shares are now down by almost 19% this year, valuing the company at $17.3 billion. coli, short for Escherichia coli, is a type of bacterium present in the gut of humans and other animals. Most strains are harmless but some can produce toxins that cause sickness in humans. Contact your doctor if your diarrhea is persistent, severe or bloody.